Welcome to Property Management and Real Estate Agency – Mila Realty. Mila Realty is a fully licensed real estate agency and member of Osceola County Association of Realtors. We specialize in purchasing, selling, renting, and managing residential real estate in the Great Orlando Area, Florida. Our dedicated agents and brokerage’s reputation is the right combination of unique market-knowledge and excellent negotiating skills that enables our real estate brokerage to get you the optimal price for any condo, townhouse, or house you plan to sell or buy in Orlando or Kissimmee area. Luxury Dr. Philips, Celebration, or Winter Park, downtown Orlando and Lake Eola, desirable Lake Nona, Baldwin Park, College Park, or surrounding neighborhoods are within our local area network. Mila Realty partners only with the lenders who keep their promises, the builders who offer custom new home experience and quality construction, and title companies that guarantee the home buying or selling process as smooth and enjoyable as possible for you and your family. Our knowledgeable property managers are here provide our client with the professionalism and integrity needed to ensure that homeowners feel secure whether we manage their valuable properties or lease them to the best qualified tenants. Being into the field of Orlando & Kissimmee real estate for an extended period of time, we have a great knowhow of the local scenario of the Orlando real estate market. Our skilled real estate experts in Orlando aspire to add value in each and every aspect of your association with us. Be it property renting, buying selling, management, you can expect outstanding services at Mila Realty. Our website www.milarealty.com is a free to use, and it is a highly efficient tool for all real estate needs of homeowners, potential buyers or sellers, and renters. Here you can search, compare, request showing, submit a payment, and much more. We are team of responsible and hard-working agents. This is the reason why we always on time to answer your call, email, or another request, and we are available 7 days a week for your convenience. Valentina is the Owner and Broker of Real Estate Agency – Mila Realty. 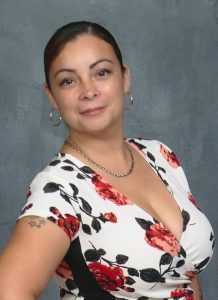 Valentina provides over 5 years of real estate experience. She has a background managing all types of privately owned properties such as single family homes, townhouses and condos, from brand new properties to assisting in renovating them. During the last 5 years, Valentina has been responsible for the renting and managing of hundreds of properties including vacation rentals. Valentina is the leader and provides the vision and business development concept for our organization. During her time as a team member for Keller Williams and Overton Realty, she has mastered real estate business. 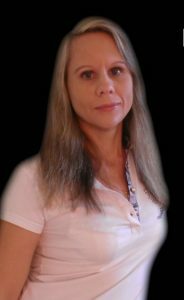 Her diversified experience and the constant hunt for excellence allowed Valentina to be ranked as a highly recommended selling or buying agent in the state of Florida for many years. Valentina holds a MBA in Organizational Behavior from University of Tartu. She is also fluent in Russian language. Valentina enjoys spending time with her husband and friends. Her passion is the beach, travelling, studying, her dog, and she is being active in her community. Steven is responsible for all facets of property management for the properties in our real estate firm. He has been in the property management field for 9 years. His role here is to serve as a connection between the home owner and tenants while providing strong customer service on both ends. With a strong background in Hospitality, he offers exceptional customer service to all of our clients. Steven’s considerable expertise, experience, and skill are focused on maximizing our property owner’s profitability while controlling risks and liability. He believes in making long lasting connections, and aims to ensure satisfaction of our client’s real estate endeavour experience. With his administrative and property management qualifications, as well as his people skills, he makes an excellent addition to our team. Steven is fluent in Spanish language. 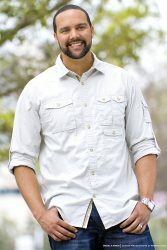 Steven enjoys spending times with his family, great Food, the Orlando Magic, and movies. He is always striving to continue his education in his career. Inna Wendt came to the Real Estate business after having spent a few years as a member of Vacation Rentals Company team where she had the best experience of interaction with different people from all over the world. With a background in client services, leasing experience and ability to listen and respond to client needs she decided to make a change towards real estate world. Originally from St. Petersburg, Russia, where she grow up and successfully completed her education, Inna received Master degree in Economics and Civil Engineering from St. Petersburg University of Railway Transportation Engineering and earned valuable experience in financial field. She fluently speaks Russian. After moving 16 years ago to the USA she decided to continue her education in the finance field and took additional classes to learn more about Travel industry while working in customer service. She is enjoying travelling around the world with her husband and daughter and visiting friends and family back home. Viviana joined our property management firm in 2018. In reality, she was a part of the team since 2014, when she started as a Vacation Advisor. Today, Viviana is leading both long term and short term rentals. Homeowners, guests, and tenants love her and always compliment her work. Everyone knows her as a person who always sincere in helping others. No surprise, she has a strong background in Customer Service and loves to what she does. Everyday brings something new, new experiences and knowledge, and this is what attracts her most in property management. “Learning is a power”, says Viviana. Following desire to perfect things around, she is always busy with improvements. Professional classes, trainings, and networking is an important part of her professional life. Viviana is a great mother, and she loves to spend her time with children and husband. She is a fan of sports and enjoys going to the beach and the parks. Viviana is fluent in Spanish language. Through the understanding of the community, its citizens and values Real Estate agency – Mila Realty remains the number one choice for Real Estate services in Orlando. We look forward to assisting you; contact us today!